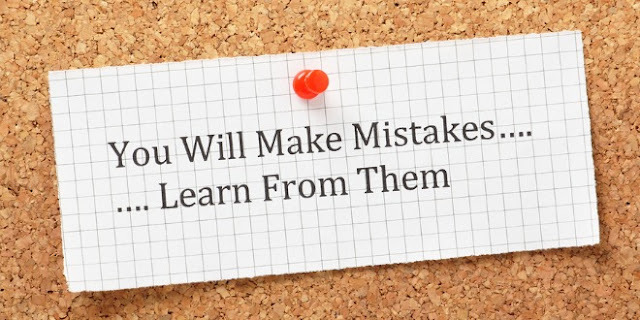 Do you realize that there are mistakes you can make at various stages of your business growth that can be slowly killing it for months or even years if you dont watch for them? and are possibly losing a lot of money and/or wasting a lot of time in the process. Although some of these big and sneaky mistakes seem aimed more at service type companies, they really do fit the bill for almost any type of industry. Ive done my best with the listings below to give examples to prove it. This is a big one and it pertains to service companies as well as companies that sell a product. This is a service companys bread and butter. If you dont estimate your time to perform each and every service in your repertoire, you will get burned and there is little you can do about it but bite the bullet and learn from it. For product companies, time becomes an issue with logistics so be aware! Notice I emphasized the word your. Its a common mistake to use a competitors as your pricing gauge without actually knowing why they use those numbers. Think about the nightmare you will get yourself into if you take a competitors price, cut it by 10% and then start selling. What if the competition has a bad pricing structure and is barely making money or even losing money?!?! What if your costs are more than theirs?!?! You can use competitor as a starting point but you cant base your whole strategy on it. Different industries have their own variables as far as costs go and you need to be aware of them for your project or product pricing. What you pay for a product you are going to sell is not the only cost to have in your head when you are pricing products. How much your labor and materials cost for a service is only a piece of an hourly rate. Employees cost more than just salary and not every employee is part of your labor cost. Every company has insurance to pay for. There are tons of overhead expenditures that need to be part of your price. Oh, by the way, the big one that many people forget about in their price is the quality factor. What you include as standard services or standard product features as well as job site etiquette or in store service or warranties all need to go into your pricing. Ill get to more on why in the next segment. This seems like a stupid statement to some but I bet most business owners will admit that they have given away a little too much of the farm at times. Hey, there is nothing wrong with giving a little extra here and there to show you care. But either way, thats not what Im talking about here. What concerns me are those that put a lot of quality into their work or products or stores and do not cover the cost for it. As an example, say you run a service company and your competitors dont do a certain standard service that you do. You cant just undercut their price to steal a job; you need to have that cost covered in your rate and advertise the fact that it comes with the price upfront. Stores undermine themselves, for example, when they put more people on the floor for customer service but dont charge for it. These things cost you money and when your competitors don't do them it costs them less money. Put out better service and then under price them, and your competition just has to wait a little bit for you to fall on your face so they can swoop back in. As a business owner you need to believe that you are providing your clients worthwhile wares that deserve to be paid for. If you get the chance to explain why your prices are higher, then take that opportunity and do it. If they dont like the fact that you include things that others charge extra for later or that you treat them better, then they are most likely completely price shoppers. You dont want them as regular customers anyway. Trust me. Thats right, the old cash flow issue. As long as you are actually making enough money to pay the bills, this problem can be solved, prevented or at least made to be not as bad as it could be. First off all, bill customers very promptly. It is very common for a small business to not have the procedures or systems in place to get invoices generated and out the door in a timely fashion (see the next segment for more). Again, this would seem unlikely since thats the reason why we are doing the work- to get paid. But it is very easy for the people responsible for getting this info to the billing people to be too busy to get it there or not have enough organization to give it to them the right way. The second part to slowing down or stopping a regular cash flow crunch is to make the quickest payment deals possible with customers and the slowest possible with vendors and employees. If there is any way not to pay employees any more than twice a month, you better do it. Contractors always have an issue with this. If you must pay weekly, then tell them before they are hired that they will be getting the first week held back, essentially buying you a week. Part three involves credit. If your company can get a credit card, then get it. This allows for certain important things to be bought (that you can afford) that might come up during a cash flow crunch. Better yet, especially if you have no choice but to deal with 45+ day customer payments, do your best to get a company line of credit. This is a must if you plan on selling to the government or doing commercial service work. These clients often have 60 to 90 day wait periods. Too many procedures (known as red tape) is the reason why many people start their own business in the first place. Unfortunately, having no procedures and systems in place at all is not an alternative. Depending on the type of industry, business owners must come to a happy medium or chaos and the unknown will ensue. Some basic examples where procedures or systems are needed include billing, collections, payroll, hr (interviewing, hiring, vacations, benefits, job responsibilities, etc. ), manufacturing, operating equipment, maintaining equipment, inventory, sales calls/visits and logistics to name a few. Even a one person show needs to have some admin procedures in place. This will make it easier to hire temps and subcontractors and control what they are doing for you. Without at least a watered down version of a system or procedure to do everyday work, you will be to blame for causing many major headaches as your company grows. I can't emphasize how important this is for when you bring on new employees. Im sure you heard this before, but I am also a big proponent of having an employee handbook even for one employee. Its amazing the trouble people can cause business owners just because they allow you to pay them. Spending Advertising Money Just to Say You Advertise- I would almost rather see my clients not advertise then to spend without regard to tracking the results. There is no point in a marketing campaign if you do not put things in place that allow you to measure how well the plan is working. The other wasteful part of marketing that many people make the mistake of doing, is not tracking their previously successful campaigns. Why some people think that just because a $400 dollar a month ad worked once very well for one busy season, that it will automatically work every year after that is beyond me. This is a classic mistake made by every entrepreneur. The key is to figure out when you are at that wearing too many hats point and start getting some help. The solution here is to know your strengths and to be able see when you are not performing the duties that demand these skills. If you are the best sales person on the company, you can't get caught up in day-to-day operations. If you do, sales will slip and eventually you won't have any operations to worry about. Did you really go into business for yourself to work 80+ hours a week? Set goals to know when to hire people to take over where you are light on knowledge. Not getting help or waiting too long can kill a company. Most people who start a business do it because they are good at the technical end or the sales end. If you know the best way to make a widget, then your strength is in production and that is where your time should be spent. Hire an outside company or consultant to take care of the sales and marketing and then hire inside when you can afford someone full time. Dont be something to your company that you are not. It will only hold you back. The three big issues people like to tackle themselves but usually are least knowledgeable about are legal issues, accounting/bookkeeping issues and daily operations issues. The odds are that these three things are your weakest link so if you dont have a partner that has the background for these subjects, then be prepared to get help as soon as possible. Its preferable that you do this before you start a business. Although looking for these problems at any time is a good idea, the end of a year or season is an excellent business interval to make sure you are not making these errors. Take the time, or make the time, to fix these problems. If you don't know how to reverse the problems, then get some help. If you really don't have enough time to either figure out if you have these issues or know they are there and can't break away long enough to do it right, then get some help. I have mentioned a solid 8 in this article and add to that what Duncan has here and you WILL avoid the costly pitfalls by starting as you mean to go on. 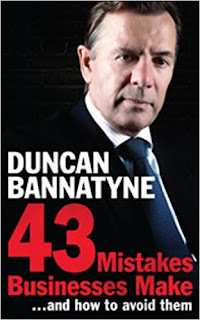 Duncan Bannatyne is one of Britain's most recognisable entrepreneurs, as well as being a philanthropist and best-selling author. His business interests include health clubs, hotels, media, TV, stage schools, property and transport. He has starred in every series of the hit UK TV show Dragons' Den. Duncan was awarded an OBE for his charitable work. He is heavily involved with Comic Relief and UNICEF, and is a passionate anti smoker. According to The Sunday Times Rich List 2010, Duncan's wealth is an estimated £320m. I Would definitely recommend this book especially for anyone thinking of starting their own business.